3D Woot Smiley Wallpaper is an excellent quality digitally rendered 3D wallpaper created using Blender 2.59. 3D Woot Smiley Wallpaper is created by DeviantVicky using Blender 2.59. 1920 Ã— 1200 pixels ; resize if needed. It is a JPG download, the file is 754 KB in size. Red Glass Apple with a Heart Symbol inside is an excellent quality digitally rendered 3D wallpaper for Windows PC and Apple Mac. 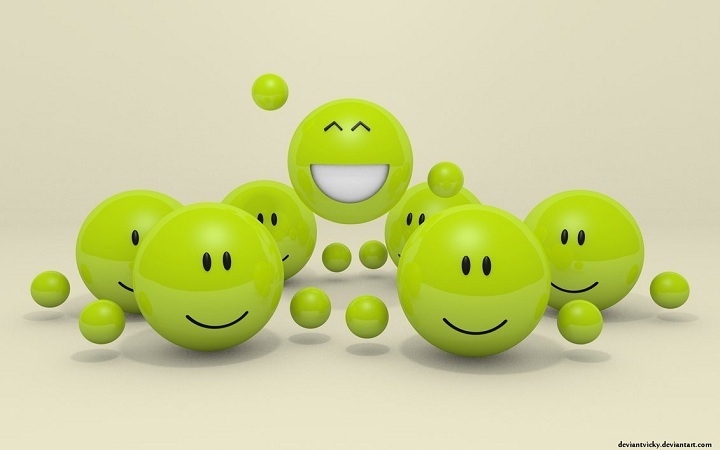 Cite this article as: Abhishek Ghosh, "3D Woot Smiley Wallpaper for Windows PC and Apple Mac," in The Customize Windows, August 29, 2011, April 21, 2019, https://thecustomizewindows.com/2011/08/3d-woot-smiley-wallpaper-for-windows-pc-and-apple-mac/.